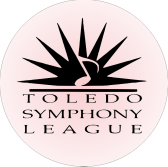 The Young Artist Competition is a professionally judged contest which offers the opportunity for young musicians to compete with their peers for a monetary award provided by the Toledo Symphony League and the opportunity to perform as a soloist with the Toledo Symphony Orchestra. The competition typically offers no more than three awards each year. The 2019 Young Artist Competition auditions will be held at the University of Toledo Center for the Performing Arts (1910 West Rocket Drive, Toledo, OH) on Saturday, May 25, 2019. A link to the online application can be found under the 2019 Guidelines. Please note that the deadline for submitting an application is May 10, 2019 at 11:59 p.m. For more information see the 2019 Guidelines and Required Repertoire. You may also contact Merwin Siu, Artistic Administrator for the TSO, for questions about repertoire at 419-418-0023. For general information about the contest, please contact Mrs. Kathy Scheer at 419-874-9580 or ClaudiaTrombla at 419-865-4932.